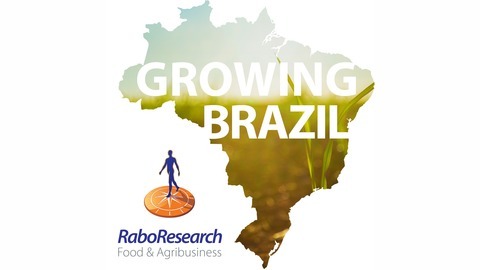 Rabobank's RaboResearch Food & Agribusiness team has 85 analysts working in local teams across the worldwide Rabobank network. They generate knowledge, and develop views and insights on businesses, topics and developments in the food & agribusiness sectors across the globe. All analysts have their own sector specialisations – from soybeans, corn and cotton to sugar and ethanol, beef, fertilizers and orange juice. In the fifth episode of our Growing Brazil podcast series, we turn the spotlight onto Brazil's cellulose pulp and paper sector. This sector enjoys some natural competitive advantages thanks to the world-beating rate of growth of raw material—mostly eucalyptus trees—produced on Brazil's plantations and private farms. Over the last decade, the sector's output and exports have been growing significantly, with China becoming an ever-more important market. However, looking ahead, there are challenges: digitization has impacted the paper market in some regions, pulp and paper prices can be volatile, and investments in new capacity represent a major financial commitment for producers. 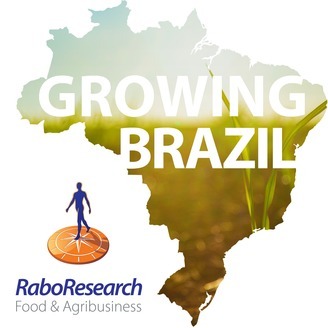 Senior economist Andrés Padilla, a pulp and paper specialist from Rabobank Brazil's Food and Agribusiness research team, talks us through the current situation and future outlook for the sector.